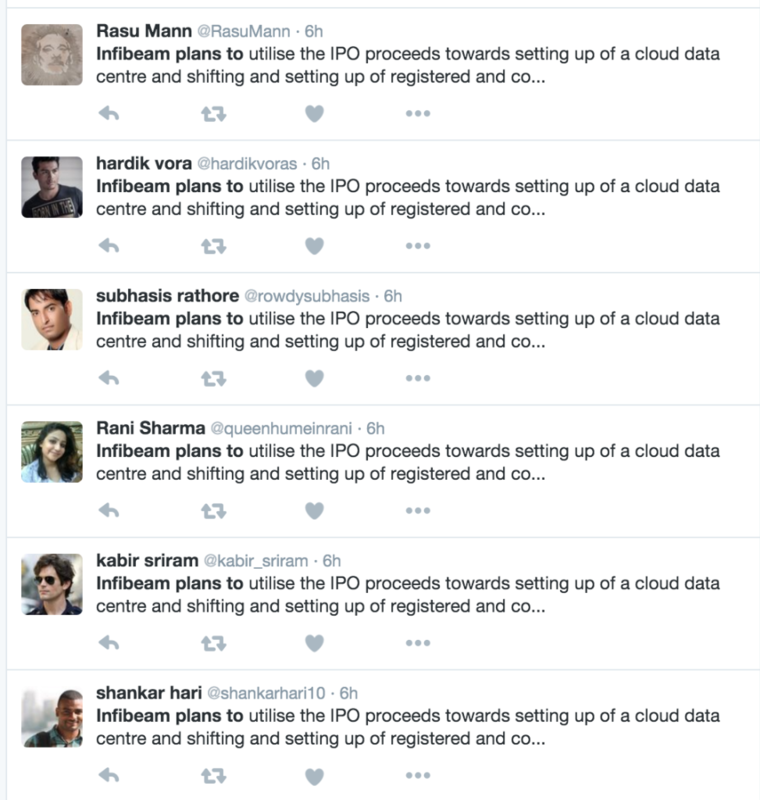 Infibeam’s historic IPO was supposed to be a watershed moment for India’s e-commerce market. Having attracted the interest of foreign investors and Venture Funds alike, the industry was supposed to finally test its mettle in the rigorous world of public markets. It was going to be e-commerce’s coming-of-age party, where it would finally start playing with the big boys. But an ugly controversy has put a dampener on the proceedings on the very first day. Factor Daily has reported that a large section of twitter users were being paid to show their enthusiasm for the upcoming IPO. And it turns out it wasn’t very expensive to buy some credibility online – the going rate was Rs. 150 for 22 tweets. The marketing move seems to have worked. 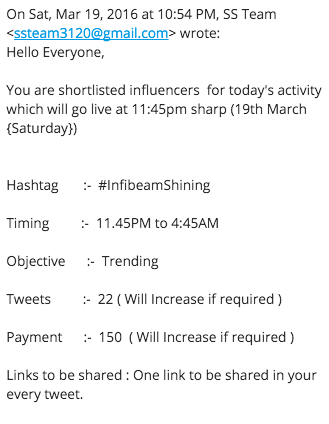 On Monday, Twitter was inundated with thousands of tweets eagerly awaiting the upcoming IPO, and the hastag #InfibeamShining also briefly trended. But quite tellingly, several tweets had the exact same line of text pasted over and over. While influencer marketing is Twitter’s worst kept secret and is regularly abused by brands looking to launch a new product, it seems unlikely that it has ever been used to promote an IPO. 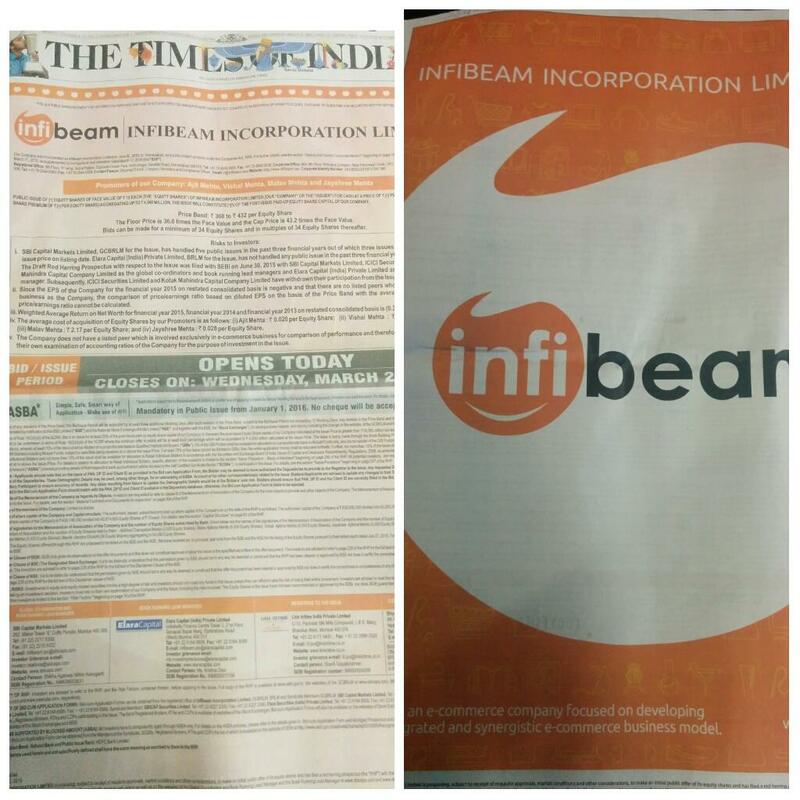 Infibeam had issued front page ads in leading publications announcing the IPO on Monday. The Tweetstorm seems to have been an attempt to create even a bigger splash on social media. It seems like this marketing campaign might’ve been a result of the events leading up the event. Days before Infibeam was to go public, two of the investment bankers involved in the deal, Kotak Mahindra Capital and ICICI Securities, dropped out citing concerns over the pricing and the timing of the issue. Response to offering also been muted in the finance world – IIFL Holdings had rated the issue as an “avoid” and said that Infibeam will find it hard to compete with existing players, and Angel Brokers had called the valuation demanded by the company “steep”.